The highly-anticipated MacBook Pro refresh is said to already be in production, setting the stage for a possible unveiling alongside new iPhones at Apple's rumored Sept. 10 event. Taiwanese manufacturers have begun to ship components for new MacBook Pros based on Intel's fourth-generation Haswell processors to assembly plants, according to a Thursday report by Hong Kong-based supply chain monitor EMSOne. The Haswell architecture, which made its Apple debut at WWDC 2013 in the MacBook Air, is designed to take advantage of improvements in transistor manufacturing processes to increase power efficiency and computational performance. Like its predecessor Ivy Bridge, Haswell chips are manufactured using a 22-nanometer process. Apple's 2013 MacBook Air demonstrated the substantial power savings that can be realized with the new architecture. Despite maintaining the same battery capacity as their 2012 counterparts, the 2013 Airs run significantly longer on a charge - the 13-inch model gained five hours of battery life after the Haswell update, while the 11-inch model gained four hours. Haswell-based MacBook Pros are expected to see similarly impressive gains in graphics performance. Benchmarks have revealed that we can expect to see Intel's Iris Pro 5200 GPU  the chipmaker's top-of-the-line integrated graphics option that is intended to compete with discrete GPUs from nVidia and AMD  in the new models. 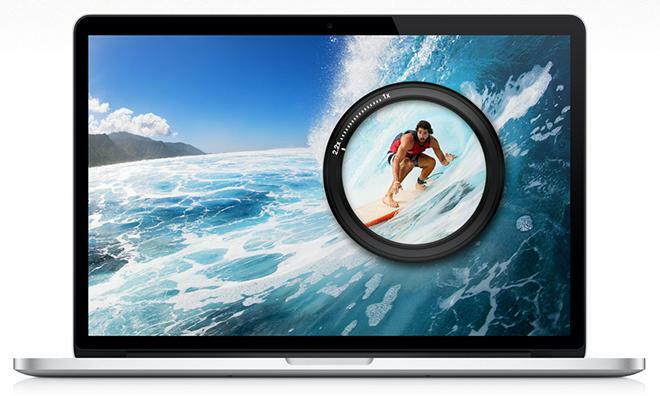 The future of non-Retina and hard disk-based MacBook Pros remains unclear. While Apple is not expected to discontinue either model, the report does not specify which variants will benefit from the September refresh. Carl Icahn and Apple CEO Tim Cook to discuss buyback proposal over dinner in Sept.